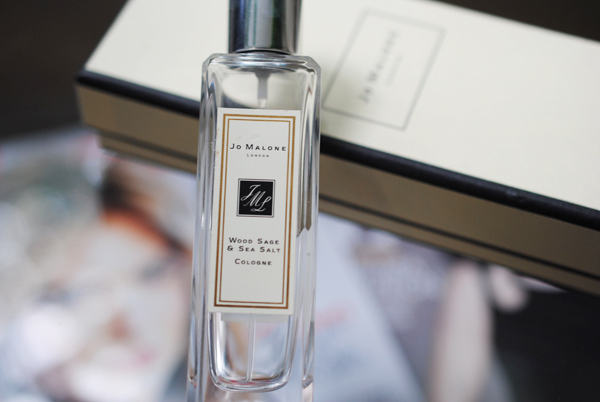 Today's post is a short and quick one: A new favorite product to wash my makeup brushes! 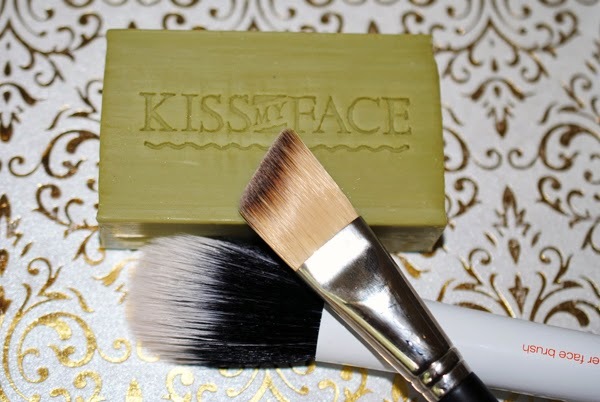 Laura from hapagurl8 recently mentioned that she had started to use the Kiss My Face Pure Olive Oil Bar Soap to wash her makeup brushes and had been loving how clean and soft her brushes were. Since my regular makeup brush washing routine had been to mix a bit of olive oil with Dawn soap, I decided to give her method a try. Off I ran to Whole Foods to pick up a three pack for $5.99. When I washed my brushes, I was super impressed — my brushes were cleaner than they've been in a long time and my white natural hair brushes were back to their original white! With this method, I cut down on water and expensive olive oil. Because the soap is sulfate free, there were very little soap suds to deal with, so I also cut tons of time rinsing the brushes! Plus the KMF olive oil soap is 86% pure olive oil, so deep cleaning with this soap left the brush hairs pretty soft as well. To top it off, Kiss My Face Pure Olive Oil Bar Soap is non-GMO verified, gluten-free, paraben-free, phtalate-free, SLS-free, vegan friendly (not animal tested) and (artificial) fragrance-free. Update: I've been using the another bar of the KMF olive oil soap as my regular body soap, and it's great! It actually lathers a lot using a loofah and it does not leave my skin dry or filmy like other bar soaps can. Matte + Crimson approved! I purchased the Kiss My Face Pure Olive Oil Bar Soap I mention above with my own money.